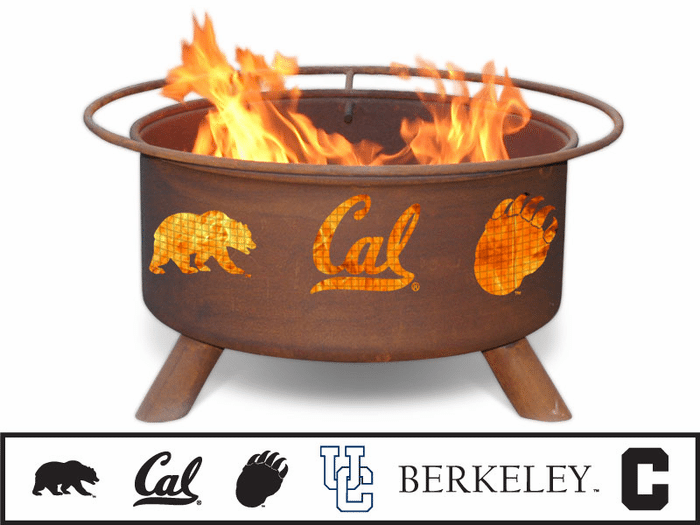 Show off your team spirit with a college fire-pit! These NCAA Licensed Collegiate Fire Pits by Patina Products make a great patio fire pit for the back yard or any tailgate function. These come complete and function as both a fire pit and a BBQ grill. You’ll enjoy a quiet evening at home or game day tailgating cookouts just before the big game with the warmth of the fire in these college fire pits. Manufactured from cold-rolled steel for years of durability with welded legs to prevent the pit from wobbling as well as a 5 year warranty guaranteed not to burn or rust through. Fire pits come complete with poker, grill, spark screen and cover for when not in use. 53 teams to choose from. To see full list of pictured Collegiate Fire Pits click here! Five-year warranty. Fire pit guaranteed not to burn through for five years.